History, People, Places & Profile- One of the Gold Coast’s Second World War (WWII) veterans- Samuel Kenneth Num, known also by his students, friends and associates as Teacher/Master Num, is 100 years old today. The young Samuel Kenneth- who is the eldest of 24 siblings from which, save the passing of four, and 19 still alive, was brought to world on 17th August, 1917, at Wechi, by Opanin Kwaku Num of Bokoro Royal Family and Obaapanyin Akua Misaa, of Ababa Yeferi Royal Family, all in the then Western Asante, Gold Coast [currently, Bono-and-Ahafo Region of Ghana]. Both parents had been called to glory, at enviable ages of 110 and 88 years respectively. Samuel Kenneth Num, a product of Kumasi Wesley College (1947-1951), had his primary education between the years 1928 and 1933, at Wecnchi Methodist, in the Brong Ahafo Region. He continued in 1934 at Kumasi Methodist Senior School, Ashanti Region and completed in 1937. S.K. states that generally, he had a very happy childhood- one of the earliest memories being waiting for Saturday where he had to join parents together with siblings and friends, to go to farm. 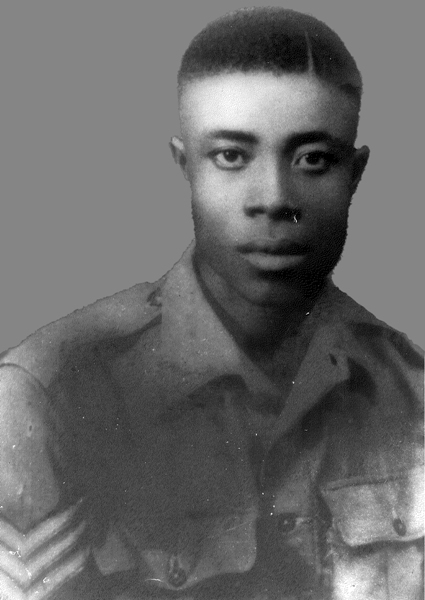 On the 25th September 1940, Teacher Num was conscripted into the Army as a recruit and subsequently, posted to the 7th Battalion Gold Coast Regiment, at Kintampo. He rose through the ranks to become an orderly room clerk Sergeant, with regimental number GC 24198. The teacher turns soldier could still recollect to memory, where in 1943, their Battalion was dispatched to India for the Burma Campaign. ‘On 23rd January, 1946 the West African Frontier Forces were able to conquer the Japanese Forces- a victory worth celebrating. Thereafter, we were despatched to our various home-countries in West Africa, for mobilization. I then retired from the army,’ he states. The West African Frontier Force (WAFF), according to Gold Coast [Ghana] ‘military history, was a multi-battalion field force, formed by the British Colonial Office in 1900 to garrison the West African colonies of Nigeria, Gold Coast, Sierra Leone and Gambia.’ And, in the word of Wikipedia, in 1928, it received royal patronage, becoming the Royal West African Frontier Force (RWAFF). Indeed, one could hardly document the history of the Gold Coast Frontier Force vetrans, without remembering ex-service men Sergeant Adjetey, Cpl Attipoe and Private Odartey Lamptey, who were callously, killed by a contingent of armed policemen, commanded by a British Superintendent, Colin Imray, on Saturday, 28th February 1948, at the Christiansborg Crossroad, Accra, while together with other Gold Coast WWII veterans, were presenting their grievances over poor socio-economic, to the Governor General and Commander-in-Chief, Sir Gerald Creasy. The peak of Veteran S.K. Num’s political preoccupation was probably reached, in 1959, where in the Parliamentary by-election of October 1959, Professor Kofi Abrefa Busia- the opposition leader, sponsored him to stand as Wenchi East parliamentary candidate for the United Party (UP). ‘During the election, there were misunderstanding, brutalities and disturbances by the Convention People’s Party (CPP) Action Troopers. So I decided to step down to avoid any inconveniences for the UP members. The CPP Action Troopers vandalised all the doors and the windows of my father- Opanin Kwaku Num’s house. In view of these disturbances in the town and its surrounding areas, I applied for a transfer from Wenchi and was posted to Bodomase Methodist Middle School, near Kumawu, in the Ashanti Region. I remained there for Nine years (1959-1968),’ he recollects. During this period- and specifically, in 1968, Teacher Num sat for the position of Assistant Education Officer (A.E.O) which he was successful. He still remembers when on 17th March, 1968, he received an appointment letter from the Wenchi District Administrative Officer, as the Chairman for Wenchi Local Council Interim Management Committee (IMC). ‘I was very much confused of the two appointments [the A.E.O. and the I.M.C. ]; as I cannot simultaneously, honour the two appointments. I accordingly, resolved to forgo the position of the I.M.C chairman. This was to enable me to assist and to improve on the prevailing conditions of our District,’ he states. In 1978, he was unanimously elected as the Brong Ahafo Regional Chairman of the Veterans Association of Ghana (VAG), for four (4) years (1978-1981). And during his tenure of office, he had the opportunity of constructing fourteen (14) Guest Rooms, to accommodate tourists who may visit the regional capital- Sunyani. He also initiated the construction of Recreational Hall and other apartments such as canteen, for the Association. Currently, the Recreational Hall is being rented out to the Community Tribunal Court. In 1979, Master Num, approached the Regional Minister to arrange with the P.W.D to tar the area around the Cenotaph. This was completed in 1980. On Thursday 1st October, 1981, the Ghana National Association of Teachers (GNAT), honoured Master S.K. Num with the National Meritorious Service Award during its Golden Jubilee Celebration of 1931-1981, for Primary Education Service rendered. 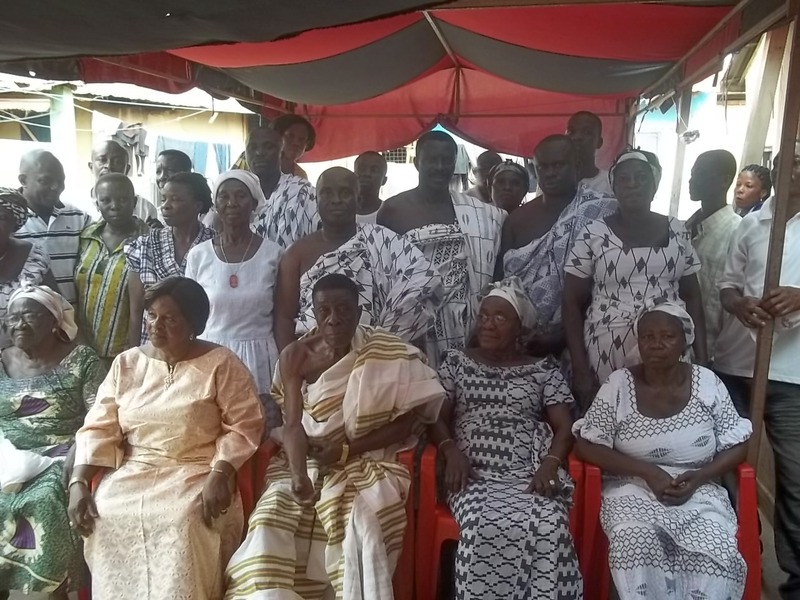 According to the WWII veteran and educator, he was the only teacher from the Brong Ahafo Region for this National recognition. He has in his custody, copy of the names of the fifty (50) recipients, who were given the National Award, and which was published in the June 1982 edition of the GNAT News paper. In December 1988, S.K. Num- the soldier, the local councillor, educator and family person and the childhood friend Major Seth Anthony, Dr. K.A. Busia, T.A. Busia, Nana Kusi Apea, CK Donkor, and not least, Y.A. Baffoe- all of blessed memory, who, on the basis of the Wenchi East Parliamentary by-elections of 1959, states ‘I later joined politics with regrets,’ finally, dropped his chalk and ball-pen, with professional humility, dedication and honesty, as a classroom teacher and disciplinarian, with the rank of Principal Superintendent, from the Ghana Education Service. 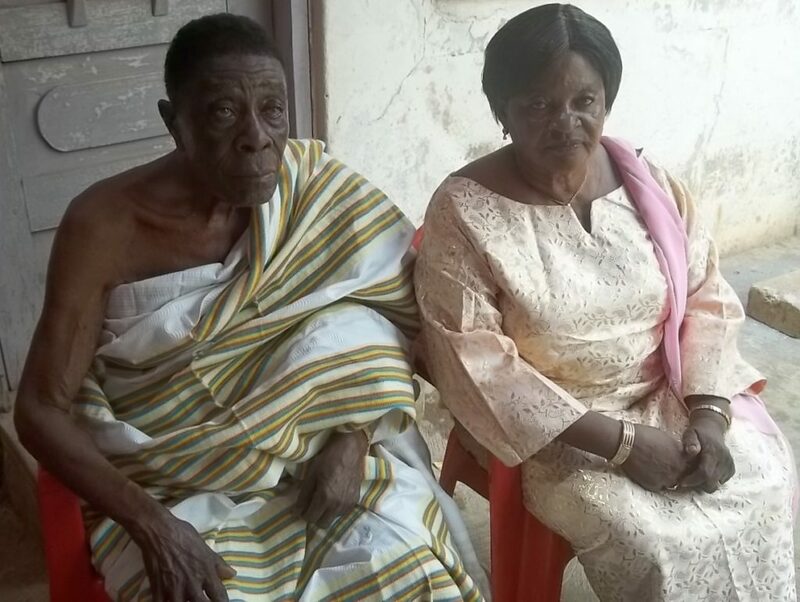 Ever since, he has been living in his hometown, Wenchi, with his wife- Mrs Mary Num, whom he had been married to for decades, in the Brong-Ahafo Region, and where some his preoccupations, include among others, reading, writing and horticulture. Teacher S.K. Num is blessed with ten(10) children, 27 grandchildren and five(5) great-grandchildren WWII Veteran and Teacher- Samuel Kenneth Num, is the father of Ex-W.O.I C.K. Nume, formerly of the 64 Infantry Battalion, Accra. Opened Buoko L/A Primary School (1952). Opened Tromeso Methodist Primary School (1952). BUILDING PROJECTS CONSTRUCTED DURING MY TENURE IN OFFICE LOCAL COUNCIL CHAIRMAN AND I.M.C CHAIRMAN. Construction of Local Council Office in 1952 which now serves as the High Court of Wenchi District. Construction of Native Authority Court in 1952, currently known as the Wenchi Community Tribunal.